Update: City Sports has closed all retail locations. This page is for archive purposes. As a seller of athletic retail merchandise, City Sports has made its way to the top of the business in just over thirty years. If you have an interest in working for a fast growing company in the retail and sales industry, information about filling out a City Sports application can be found below. 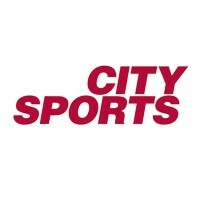 City Sports primarily sells athletic equipment and gear, but they also have a wide variety of performance footwear, and both men and women workout apparel. Founded in 1983 they got their beginning on Massachusetts Avenue by Mike Kennedy and Eric Martin whose frustration about not being able to buy a needle pump for their basketball sparked their desire to begin this successful chain. Due to their enormous success, this company offers opportunities all over the east coast for people to begin City Sports jobs on their way to a lasting career. Building a strong team is so important to them because they recognize their associates’ power in helping to maintain their award winning excellence as a specialty athletic retail store. United by the single company goal of helping clients meets and maintain their ideal fitness levels, this company operates out of 26 locations along the East Coast of the United States. With only one distribution center, quality and uniform merchandise is guaranteed. Whether you are just entering the professional world or looking for a fresh start, City Sports careers offer a wide range of possibilities for everyone. They offer in store positions which allow employees to work feet from the members of their team in a cohesive environment. Corporate posts are also readily available at the main office. Contact information is available on their website for any enquiries regarding the company or how to apply for City Sports online. Also offered are numerous distribution center positions. These positions can include, but are not limited to drivers and individuals in charge of maintaining inventory and shipping logs. Typical store hours are Monday – Friday 8:00 AM to 8:00 PM, Saturday 9:00 AM – 8:00 PM, and Sunday 11:00 AM – 7:00 PM. How old do you have to be to work at City Sports? Most entry level positions call for a high school diploma, GED, or equivalent. This implies a minimum age requirement of 18 years old. However, if a high school diploma or equivalent is obtained before the age of 18 some exceptions may be made within the laws of the state/city you are applying. A few of the benefits offered to City Sports staff are employee discounts and generous, competitive salaries. Some upper level corporate employees may also enjoy such things as healthcare insurance and retirement plans. These are just a few reasons to apply for jobs at City Sports and seek employment with a company whose job opportunities are never ending. Sales Associate: A sales associate will be expected to contribute to the store’s sales goals, engage customers, develop a strong product knowledge, deliver the best possible customer service, maintain a service first environment, and adhere to any and all company policies and procedures. These applicants must have at least 1 year of retail sales experience and will be paid on average $10.00 an hour. Footwear Specialist: These individuals are responsible for all the duties of a sales associate as well as conducting accurate analyses to provide the best footwear recommendations and maintaining strong relationships with customers. They must also be able to pass practical and written exams and possess a knowledge of running and general fitness. The position pays about the same as the sales associate post. Key Holder: Responsibilities for these associates are generating sales, engaging customers, contributing to the stores weekly, period, and annual goals, partnering with store managers, and driving the store’s opening and closing procedures. They must also have a passion for the products sold in the store and have a high school diploma/GED. Compensation average $10.00 an hour. Assistant Manager: An assistant manager must supervise, direct, and train staff while maintaining a strong product knowledge and understanding all store operations. They will also set team goals, drive customer service, maximize sales, handle merchandise, inventory, expense control, HR, and costs and shrinkages. Annual salary for this positions ranges from $25,000 – $30,000. Why do you want to work for City Sports? This is the time to reveal any and all company knowledge possess. Even if you’ve only been one of their stores once, tell them what you bought and why you bought it from them. Describe a time when you have had a bad experience with a customer. Remember to not only explain why the situation was bad, but also explain how you handled it – did you seek managerial assistance in dealing with the guest or were you able to satisfy their needs on your own? What do you know about our company? This is very similar to the first enquiry listed. Your answers to each will probably be about the same. What does customer service mean to you? Be honest when answering this, but if you incorporate the phrases “service first mentality” and “satisfy customers to the best of your ability” it will look great the hiring manager. What is your fitness routine? The main reason they ask this is to ensure you will have something in common with the guests who enter the store. Be truthful, simply tell them how often you exercise and what sports interest you. Whether you are looking for a printable application for City Sports, a direct application, or a simple “download application form” link, the City Sports applications process is easy to use for everyone. The easiest way is to apply online by utilizing the first link listed below. There you will find multiple regions to choose from where you can search available openings at your local store of the corporate headquarters. To complete the online application you will be required to choose a position, ready the description, and email your resume to the provided email address. Fortunately, these is a printable application form on the City Sports website for the sales associate position that you can download, fill out, and take to your desired store. When do you hope to fill the position? This will show your determination. Also, as you leave it’s important to thank your interviewer for meeting with you and shake their hand. Sport Chalet: Sport Chalet offers opportunities for both, beginners and experienced roles. Under Armour: Under Armour offers opportunities for both, beginners and experienced roles. Play It Again Sports: Use the Play It Again Sports job application to apply here. Kirkland’s: For career opportunities, fill out the Kirkland’s online application. Homegoods: Checkout the application page for work at Homegoods. Careers – Update: City Sports has closed all retail locations. This page is for archive purposes.